It used to be the only way you could improve a picture after taking it was in the printing with just a bit of burning or dodging areas to try and add a little extra detail on the finial print. That was in the bad old negative and film days. Now we have so much more I thought I’d write a little blog about some of the possible options open to all. First of all you can improve any image these days be adjusted for exposure, contrast and simple filters added, even on a phone these sort of adjustments are standard available features. So, let’s assume that you understand and know how to use these features. What more could be done to improve a picture? Photoshop has been around a long time now and can produce some amazing results if you have the imagination and vision to produce something. Virtually anything is possible from the montage of multiple images to the cleaning of an image to achieve the result you want. Here’s an example of a simple montage. 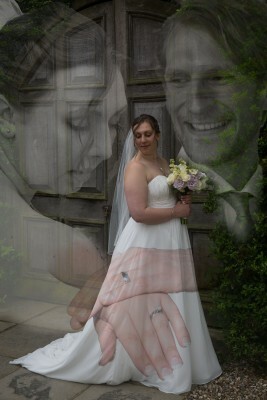 The image is made up of 4 separate images, the base layer of the bride full length, the rings on the hands and two portraits that worked well together. There is nothing complicated here just a simple layering of selected areas of the images to the base layer and adjusting their opaque qualities. This sort of creative work would have taken many hours or even days to achieve on film or in a printers dark room. Now they can be completed by a person that knows their way around Photoshop in an hour or two. What’s more interesting though is how you can take a single image and improve it. 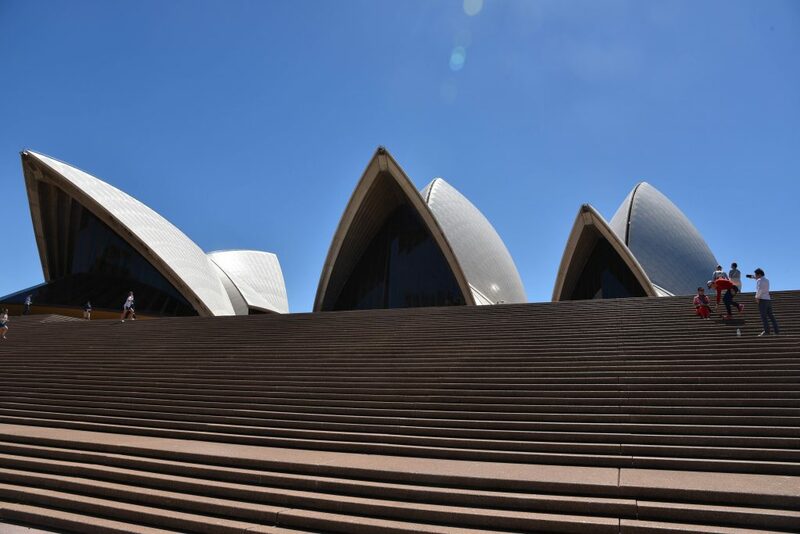 Take the picture below of the Sydney Opera house. 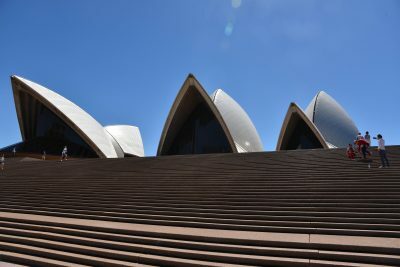 A wonderful building but almost impossible to shoot without people in the way. Not only are the people a distraction but there is also unsightly reflections on the dome and waste littering the steps. Also the basic format of the camera doesn’t flatter the shot. So let’s start the way we can improve. You’ll notice with the cropping the image is immediatly stronger as an image. But there are too many people distracting from the main subject and the waste bottle on the steps are all just distractions.The sky has been improved by not only removing the lens flare but also some colour and intensity adjustments. Let’s see what else can be done. Now we have removed all but one person who is left to give the building scale and focus the eye to the main area of the subject. The reflection on the roof has been removed too to keep the image clean and symple.